The Cazelle queen upholstered bed is beautiful and modern sophistication with bonus storage under the lift-top bed. Beautiful, modern sophistication is yours with the Cazelle collection. Dove gray upholstery with panel-stitching detail and metal legs with a platinum finish create a very stylish, contemporary look. Finished storage is the surprise bonus hidden under the lift-top bed. 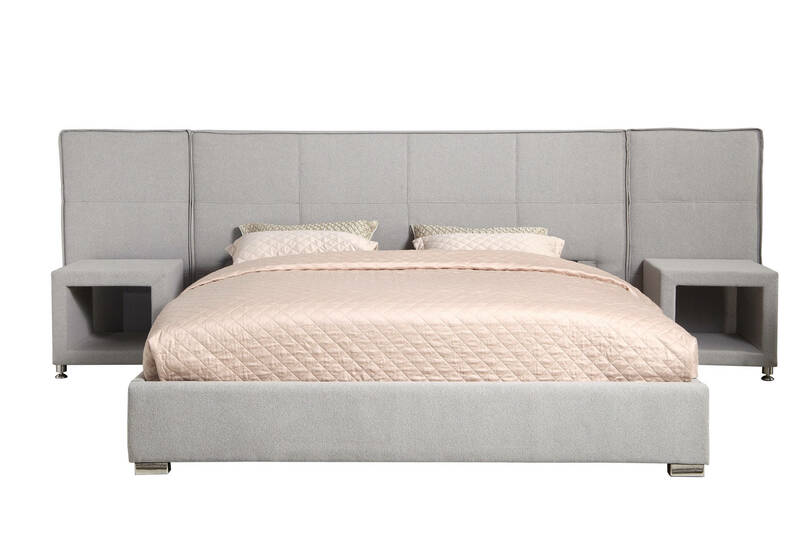 The Cazelle collection adds style and function to your gorgeous master suite.